I am proud to finally present to you the result of my £20 wardrobe makeover! 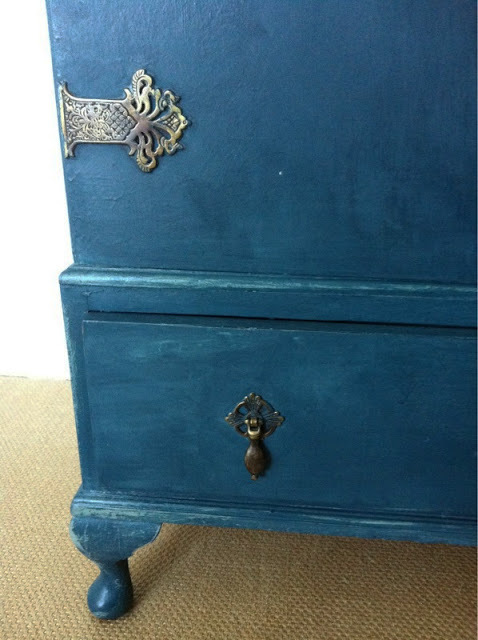 Got it months ago from Banchory's Box Room (great for finding old furniture) and I eventually painted it and did it up. I love the combination of the blue and the brass hinges. It is now baby's first antique piece - holding all its baby grows, cute little cardigans and mini socks. 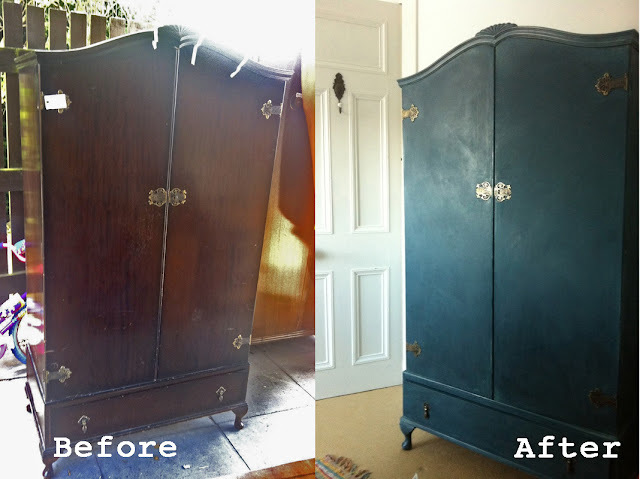 I painted the inside of the wardrobe in Annie Sloan's duck egg blue chalk paint and the outside in her Aubusson blue shade (with a layer of duck egg blue underneath which shines through after I lightly sanded through the corners and edges). I also stuck some blue-green retro fabric against the inside back panel of the wardrobe. 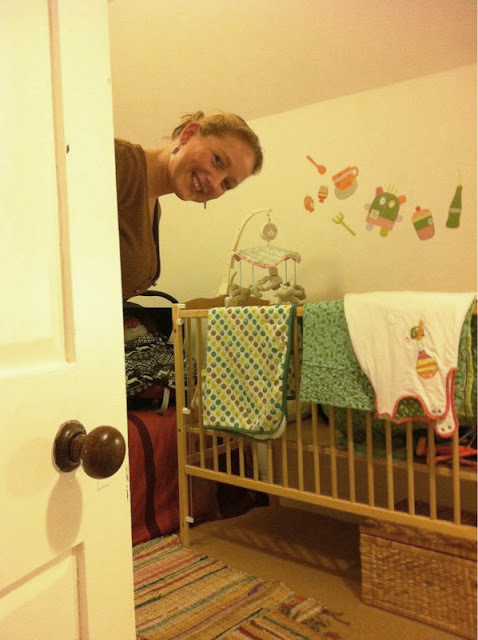 My sister, who has been helping me finish the nursery over the past few days, put in an extra shelf (which she made out of our old bed slats!) and we got some useful storage boxes for underneath. She also saved me some money by suggesting using an old broom stick as a clothes rail and painting it in the same colour as the wardobe. Neat!